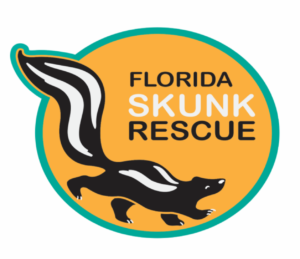 The Florida Skunk Rescue Inc. is a 501(c)(3) non profit corporation, operated by a network of Florida skunk owners dedicated to fostering and finding homes for domestic skunks in Florida who can no longer be cared for in their current situation. Their goal is to establish a shelter facility within the next 5 years. The shelter will provide animals with temporary housing and care while they await their forever home. The rescue workers, all holding current Florida Conservation Commission Class III Permits, are located throughout Florida. In most cases the skunk can be picked up the same day as we receive notification. If you need immediate assistance, please contact them by phone. 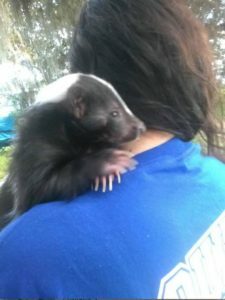 The Florida Skunk Rescue is not a shelter. 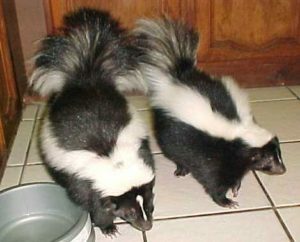 All skunks rescued by Florida Skunk Rescue are kept in a licensed private home until a suitable new home can be found.